Often formalities at container terminals can be a bottleneck resulting in less flexibility and possible delays for your customers. Broekman Logistics recognises the importance of these issues and therefore has invested in state of the art IT-systems. Additionally, we go even further by thinking along with the customer to deliver the renown personal touch, offering tailor-made solutions such as filling and bagging, which is quite unique for a short sea terminal. As a container terminal operating in a niche market, Broekman Distriport is flexible and is able to cope with last minute changes, exactly those characteristics that short-sea carriers value. The container activities at our multipurpose terminal Broekman Distriport keep on growing and that’s why the decision has been made to further expand in this sector. Currently, one of the quays is being redeveloped to become a dedicated container terminal area with all the necessary facilities needed for container handling and various value added activities. 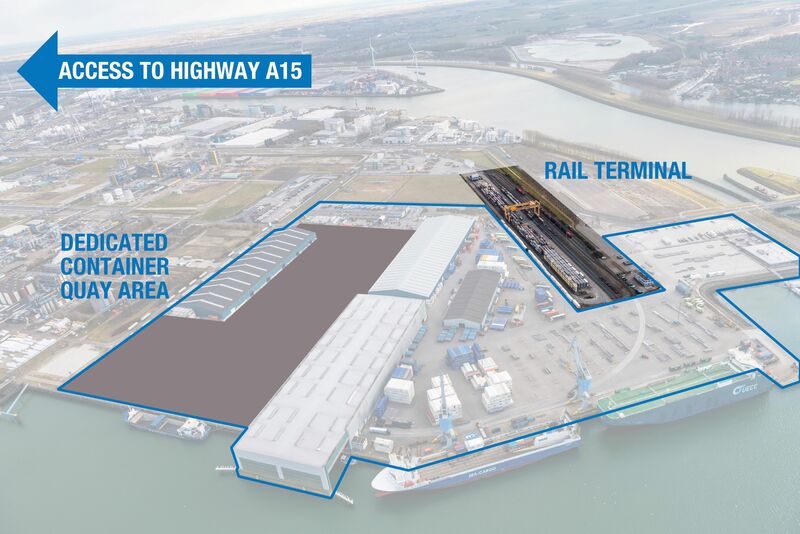 With its internal rail connection, quick access to high way A15, direct access to inland waterways and close proximity to the deep sea terminals, Broekman Distriport is a strategically located container terminal able to offer multimodal options for an optimal supply chain. The terminal is already servicing short sea carriers who are significantly reducing supply chain lead times to various short-sea destinations such as Norway, United Kingdom, Spain or the inland of Europe, whilst benefiting from a customer oriented terminal with dedicated own staff. By offering various value added activities Broekman Logistics is well positioned in to smoothen your supply chain. Container weighing according SOLAS requirements, repair and cleaning facilities, stuffing and stripping, customs and re-packaging solutions are activities which can optimise the process of container handling. Our definition of a dedicated multi-purpose terminal is feeding your customers’ needs wherever, whenever and however needed. Do you have any questions related to our container activities? Please do not hesitate to get in touch with one our professionals.